Italian oxidized silver plate round photo medal featuring The Immaculate Heart on one side and The Sacred Heart on the other. Sized at approximately 1/2 inch (13mm) tall (without ring) and 1/2 inch (13mm) wide. 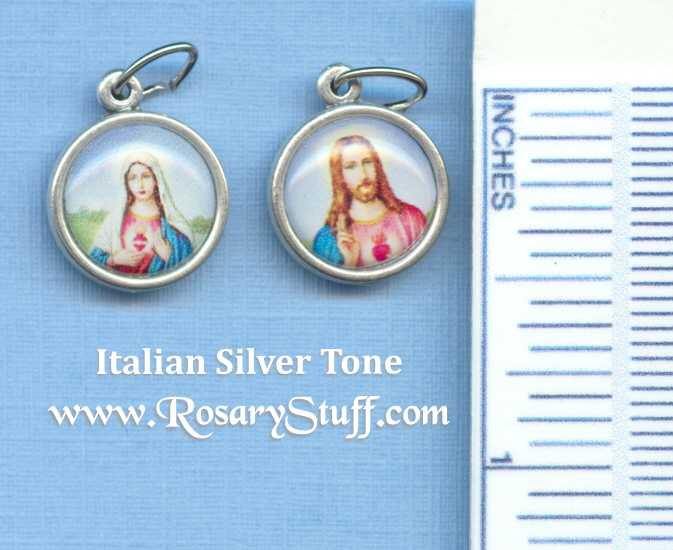 This charming medal is the perfect size for any bracelet or full size rosary. The picture includes 6mm and 8mm clear glass beads to help clarify the size.